In Salamanca, traditional cooking is perfectly blended with the latest culinary fashions. 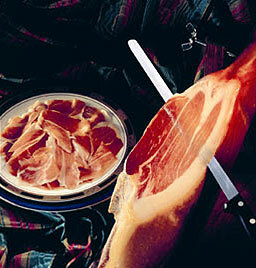 The high quality of the ingredients defines Salamanca’s gastronomic culture. 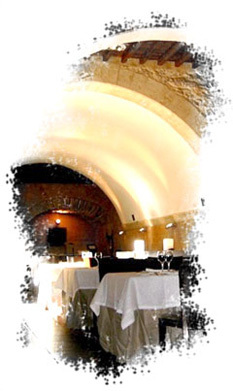 The ham of Guijuelo, the lentils of Armuña, the beef of Morucha, the wines and cheeses of Las Arribes from the Ribera del Duero region in the northeast part of the province all have the prestigious product classification seal called Denominación de Origen*. Hornazo is a traditional meat pie consisting of boiled eggs, sausage and other meats eaten the Monday after Easter, known locally as Lunes de Aguas (Water Monday). Among the popular first plates are chanfaina stew, mashed potatoes and lentils. Kid, suckling pig and lamb are common roasted meats. Variety characterizes typical Salamanca desserts such as el bollo maimón, las perronillas y los almendrados. You can’t leave the city without going out for tapas. Mid-morning or night, there is always some excuse to go out and try a nice tapa with your friends. You can choose from quality sausages, pancetta, steak, diced meat... The list is endless. - The area around Calle Van Dyck, where you’ll find dozens of bars with wonderful barbecued meats. 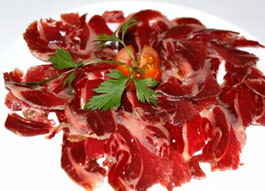 - The area bordering Plaza Mayor, which has both traditional and more sophisticated bar snacks.